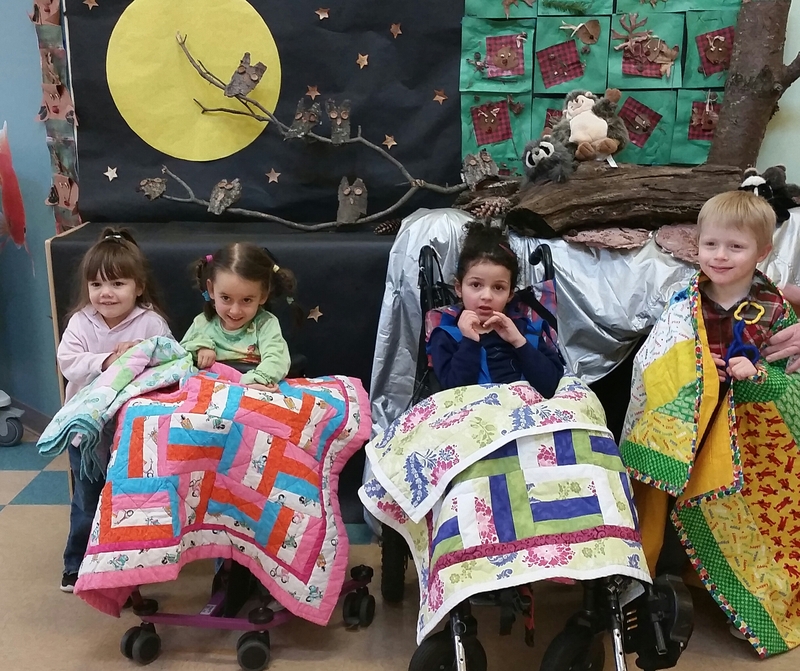 Quilts for Kids Incorporated is a national non-profit organization that provides brightly colored quilts for children, especially those with special needs or kids that are hospitalized for short or long stays. The beautiful quilts are made by volunteers. The organization began in Lower Bucks County and is now international. We were so excited in Bucks when we received a call from one of the Quilts for Kids volunteers asking if we would like quilts for all of our students. Our Friendship Academy and Approved Private school students were each given a choice of which quilt they would like to take home. Our students and families are so appreciative to this organization for thinking of us. This entry was posted in child stories, General info and tagged Approved Private School, APS, Easter Seals, Easter Seals Bucks Division, Friendship Academy, Quilts for Kids' on February 6, 2015 by Easterseals.